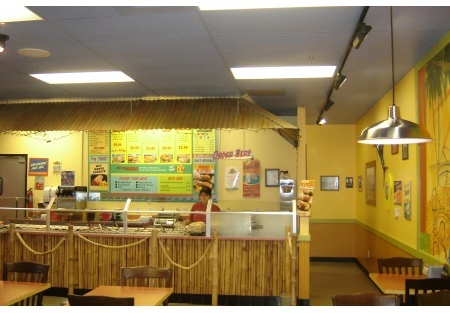 National Franchise; quick casual Mexican with standout and distinctive food! If you've been searching for that right spot which positions you in an area for explosive growth...check this listing out. If you�re looking for a �turn-key� national franchise restaurant opportunity; with a growing customer base, great food, and lots of potential upside ... check this listing out! This is a national brand with over 200 locations is located in the inland north county area. This is a quick casual Mexican food concept situated in a strip center across the street from Costco and Home Depot, surrounded by heavy daytime users; industrial parks, office complex, and other commercial users. Customers frequent this restaurant for its food quality, flavors and freshness delivered on a consistent basis. Sale includes the paid franchise license ($20K fee). This location is in a 1500 sf space, with 7 years remaining on the lease with a base rent of $3,975; CAM, taxes and insurance of $1,590. Add catering to all the businesses surrounding this restaurant location to boost sales. The key employees are in place and could be there to help jump start your new business, along with key management if desired. Take the next step and complete the online confidentiality agreement and you�ll be provided with the location address. Also you will given priority notification to new listings in the future, prior to the general public, giving you the best chance to �scoop in� the best opportunities. National Franchise; quick casual Mexican. In an area of explosive growth. Across the street from Costco and Home Depot. Surrounded by heavy daytime users. Includes $20k paid franchise fee. 1,500 sf space, $3,975 base rents + NNN. Take advantage of $160k worth of improvements. Add catering to grow the business. Add beer and wine to increase sales. Absentee owner; needs owner/operator to increase profits.